The 'unbound Album' for maximum flexibility. 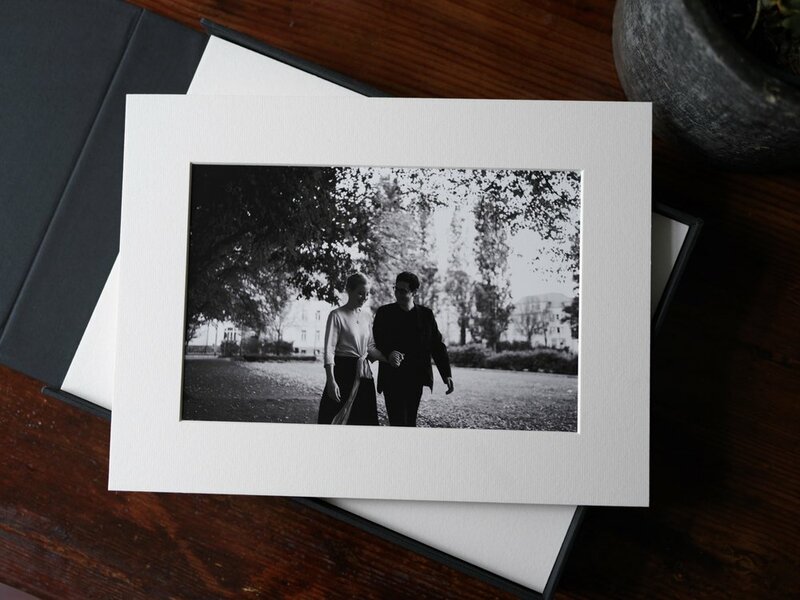 Store your favorite photographs in a handmade box to go through, but also choose what you like to dispay at your home or get your favorites framed by a local framer of your choice. Archival quality artworks, mounted and matted. Printed on fine art paper. Delivered in a handcrafted linen box for storage and presentation. Handcrafted in UK. 23x15cm Fine Art Print, mounted and matted to a 30x22cm board in total.